Maximum number per group is 8, minimum is 2. The tour is public. There are days when it's time to rest your feet and fly. 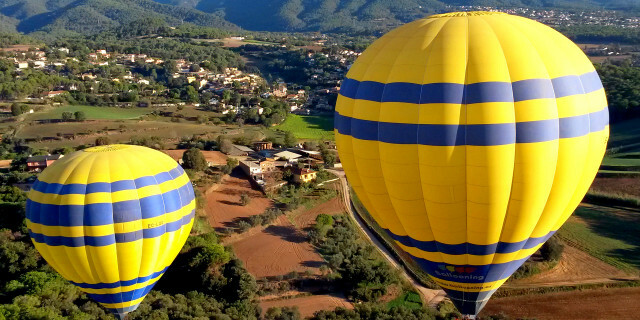 With this balloon ride, you will experience a feeling of maximum relaxation, all while being amazed by the world outside of Barcelona. 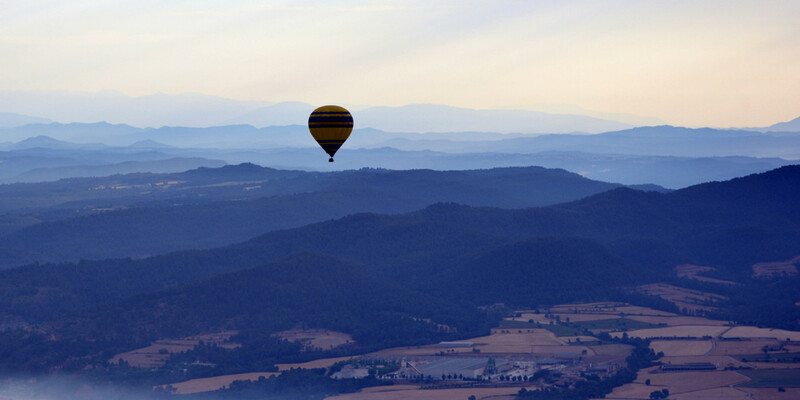 After your pickup at sunrise, we drive to Montseny Natural Park just 30 minutes from Barcelona. 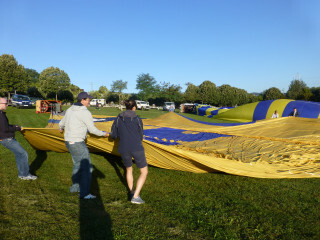 Once there, you are invited to assist with the setting up and inflation of the balloon, a quick lesson before the fun. The crew blasts the burner flame, the air heats up, and we smoothly rise into the air. 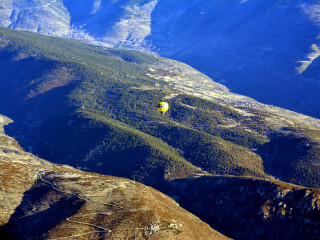 As we pass the tree line, the balloon floats in an air current, so the feeling of movement is minimal. 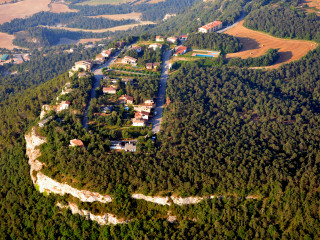 The world feels still and silent, and we reach an elevation of about 1,000 m (3,200 ft). 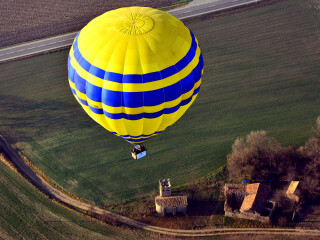 Temperatures decrease by 1°C every 200 m, but the balloon's burner acts as a heater, so it never get too chilly. 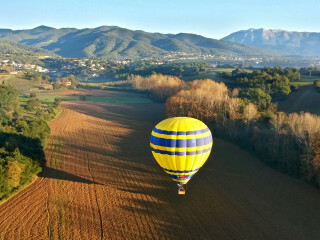 Marking the natural border between Spain and France, the Pyrenees Mountains below us are a 435-km (270-mi) phenomenon. Torrents flow around mountain peaks and hidden valleys expose their every curve. Waterfalls pop through shades of green. We continue floating over the historical city of Vic, famous for its permanent fog in the winter. 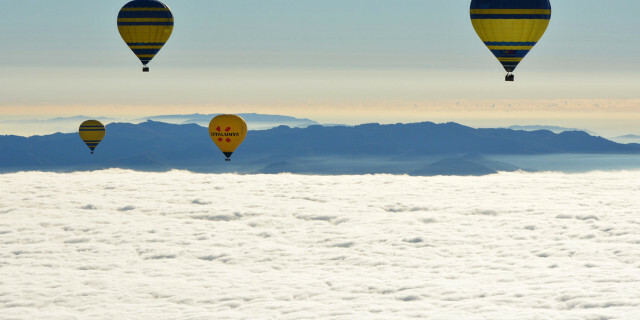 The balloon ride lasts one hour. Following our gentle descent, the “chase crew” arrives and drives us back to the launch field. We are welcomed with a crisp toast of Cava – a Spanish sparkling wine – and a tasty brunch. To celebrate the experience, everyone receives a flight certificate signed by the pilot before our departure at noon. Available all year, this trip promises a unique experience with each season. So whenever you decide to visit Barcelona, seeing it from this rare vantage point is always a possibility, and always an adventure.